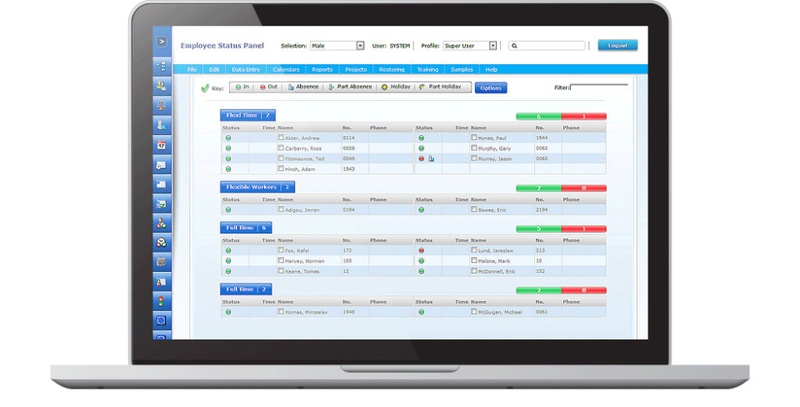 Softworks Time and Attendance solution is one of the most powerful tools available for recording and analysing hours worked. Used to manage employee attendance and produce real-time reports, the system allows you to build a clear picture of employee time through detailed data and reports on attendance, absenteeism, overtime etc. Time and Attendance Reviews Recently Reviewed! Pros: I love the fact that I am able to log into my time website without any trouble and be on time to work. I do not have to worry about any lagging while on the Time and Attendance site. Cons: There is nothing that I least like about the software. Overall: There is no problems with the business using the software. I feel like everyone in the office benefits well from the software, because they do not have trouble with time going missing and it stays accurate. Pros: I was previously using manual time sheets and sometimes as an employee, I get carried away and forget to record my time. With this app, I am able to get reminders once i get on site to work. Even when I forget to clockwork in and out, I am able to email my supervisor about the situation so she rectifies it on her end instantly. With the manual time entry, she may note it but forgets at the end of the pay period to rectify it. The interface for employee time tracking is user friendly. Cons: So far I have not found anything I dislike about this software. Just that during the trial phase, Clocking in and out would freeze anytime I try to but it does not do that anymore. Overall: I get to share my experience with others to help them in making a decision.